NYC Immigration Lawyers, Naturalization, Green Cards, Deportation Defense, Brooklyn, New York - How do I extend my stay? » How do I extend my stay? A nonimmigrant temporarily enters the United States for a specific purpose such as business, study, or pleasure. When you entered the country as a nonimmigrant, a U.S. immigration inspector should have examined your passport and visa and then given you a Form I-94 (Arrival/Departure Record). This record should tell you (in the lower right-hand corner) when you must leave the United States. You can prove you did not violate U.S. laws by turning in your Form I-94 to the proper authorities when you leave the country. If you want to extend your stay in the United States, then you must ask for permission from the US Citizenship and Immigration Services (USCIS) before your authorized stay expires. Proof that you are willing to obey U.S. immigration laws will be important if you want to travel to the United States as an immigrant or nonimmigrant in the future. If you break immigration laws, you may also become subject to removal (deportation). For more information on Arrival-Departure Records, please see How Do I Get an Arrival-Departure Record? 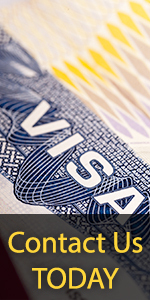 You may apply to extend your stay if you were lawfully admitted into the United States with a nonimmigrant visa, your nonimmigrant visa status remains valid, and you have not committed any crimes that would make you ineligible. You must apply to extend your status if you wish to stay longer than the date indicated in the lower right-hand corner of your Form I-94 (Arrival-Departure Record). Please note, you must submit the application for an extension of stay BEFORE your current authorized stay expires. You must also keep your passport valid for your entire stay in the United States. N - Parents and children of the people who have been granted special immigrant status because their parents were employed by an international organization in the United States. The application and correct fee should be mailed to the USCIS Service Center that serves the area where you are temporarily staying. If your nonimmigrant category is work-related, then the application and correct fee should be mailed to the USCIS Service Center that serves the area where you will work. Forms are available by calling 1-800-870-3676, or by submitting a request through our forms by mail system. For further information on filing fees, please see USCIS filing fees, fee waiver request procedures, and the USCIS fee waiver policy memo. Please see our USCIS field offices home page for more information on USCIS service centers. If your employer files USCIS Form I-129 (Petition for Alien Worker) for you, then your spouse and child must carefully read and complete USCIS Form I-539 (Application to Extend/Change Nonimmigrant Status) and submit any required supporting documents to extend their stay. It is best to submit both forms at the same time. If you are filing USCIS Form I-539 for your own extension, you may include your spouse and any unmarried children under the age of 21 in your application if you are all in the same nonimmigrant category. You may also include your spouse or children in your application if they were given derivative nonimmigrant status. This means that your spouse and children were given nonimmigrant visas based on your nonimmigrant status. For instance, if a student is given an F-1 "Academic Student" visa, then the spouse and child are given F-2 "Spouse and Child of an Academic Student" visas. We recommend that you apply to extend your stay at least 45 days before your authorized stay expires, but the USCIS Service Center must receive your application by the day your authorized stay expires. · You are not in formal proceedings to remove (deport) you from the country. Contact the USCIS office that received your application. You should be prepared to provide the USCIS staff with specific information about your application. Click here for instructions on checking the status of your application. Click here for information on USCIS offices. How Do I Get Another Form I-94 "Arrival/Departure Document" If the Original Was Submitted With the Application to Extend My Stay? If your application to extend your stay is denied, you will receive a letter that will tell you why the application was denied. You will not be allowed to appeal a negative decision to a higher authority. However, you may submit a motion to reopen or a motion to reconsider with the same office that made the unfavorable decision. By filing these motions, you may ask the office to reexamine or reconsider their decision. A motion to reopen must state the new facts that are to be provided in the reopened proceeding and must be accompanied by affidavits or other documentary evidence. A motion to reconsider must establish that the decision was based on an incorrect application of law or USCIS policy, and further establish that the decision was incorrect based on the evidence in the file at the time the decision was made. For more information, please see How Do I Appeal the Denial of Petition or Application?.